Is it possible to auto-detect installed apps and use URL schemes to quickly jump to the app from 1Password? I find myself constantly double tapping home to go back to an app I'm trying to enter a password for, but a URL scheme or "Back to [app name]" in the top left corner integration would definitely simply the UX. Thanks for taking the time to write in with the suggestion. I'm not a developer, so I don't know for sure, but I think what you are referring to would require that 1Password be opened from the app you want to return to using a onepassword:// URL. I don't believe it is possible, for example, for us to offer a "Back to Twitter" link in 1Password if you used the iOS app switcher to switch from Twitter to 1Password. Twitter would need to offer a link to 1Password. That said, I'd be happy to pass the feedback along to our development team, in case there is a way to do this that I'm not aware of. Thanks for the reply. I now understand that the "Back to Twitter" idea won't work. I'm curious if the dev's could integrate URL schemes into 1Password itself? 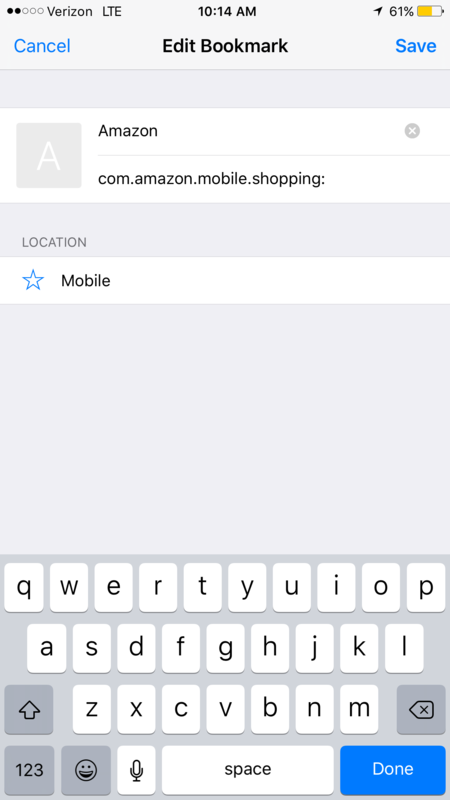 For example, adding "com.amazon.mobile.shopping:" to the Amazon entry in 1Password doesn't open the Amazon app. 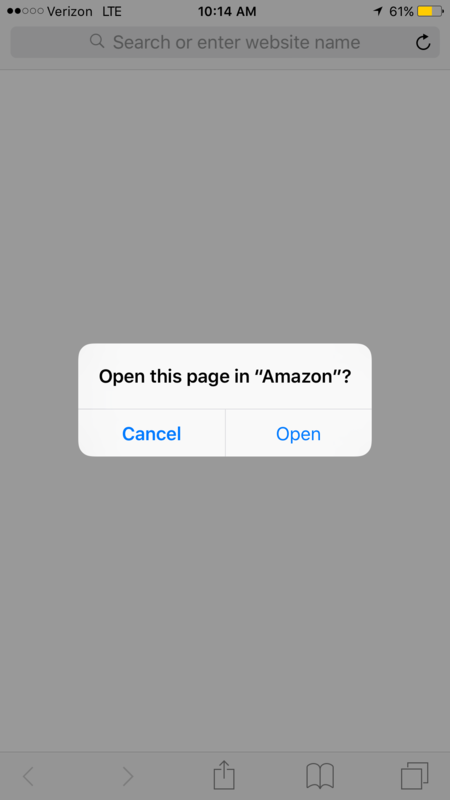 However, if you create a Safari bookmark with the URL "com.amazon.mobile.shopping:" (without quotations) and tap it, you are prompted to open the Amazon app. I'll be happy to pass the request along though. Thanks for the vote, Tabaluga.